Sonic 超能英雄 Funnies. . Wallpaper and background images in the 刺猬索尼克 club tagged: sonic knuckles tails sega hedgehog. 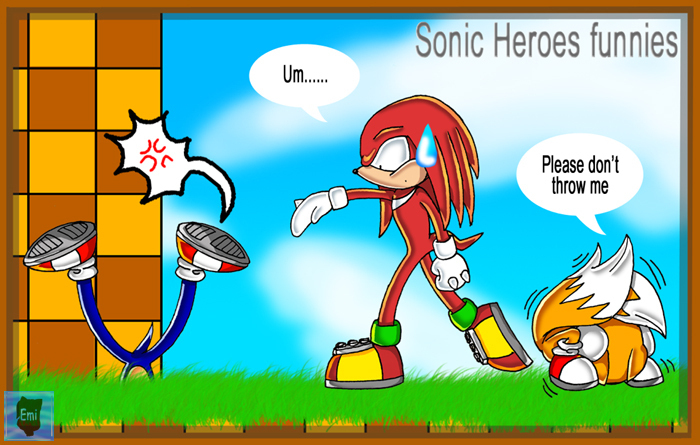 thats so knuckles... who else would do that LOL! Knuckles is like: Sonic's gonna kill meh. Tais Is A Ball Lets Play Tailsball!! !